Giving back, helping others and creating a sustainable business are three key areas we are incredibly passionate about at Cherubs Nurseries. These are tied together through our community life work which is something we are incredibly proud of. At the heart of community life is our charity partner, chosen by our colleagues, parents and children. Throughout the year we work with this selected partner, with all our nurseries hosting events to raise awareness and money. Throughout 2019, we will be working very closely with Theodora Children’s Charity. Theodora Children’s Charity believe that all children deserve laughter. 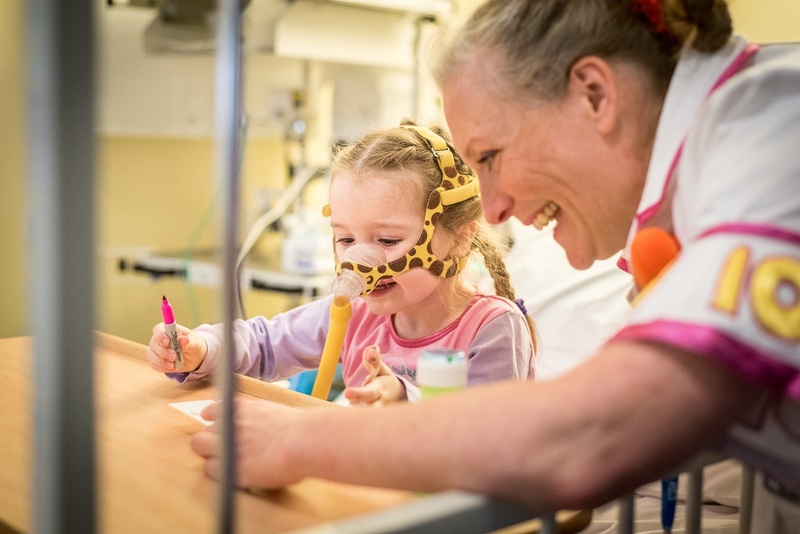 Their mission at the heart of their work is to contribute to the wellbeing of children in hospitals, hospices and specialist care centres by providing visits from professional performers who have been trained to work in a medical environment. Their Giggle Doctors visit children in hospitals, hospices and specialist care centres across England. By combining music, play, magic and storytelling these professional performers bring magical moments to brave children in challenging times. Theodora believe that every sick or disabled child should get the giggles that only a Giggle Doctor can bring. Track our fundraising progress below. In addition to working with a chosen charity our nurseries have come up with fun and exciting ways to involve our children, families and colleagues in what we do. From residential home visits to clothes swap shops and monthly community clean ups we aim to have a positive, long-lasting and far reaching effect on all the communities we serve, involving as many people as we can. For our children this gives them additional learning opportunities and for our families and colleagues it gives them a sense of pride knowing that they’re doing something worthwhile and truly special. Since 2014 we’ve raised over £40,000 for local and national charities and causes including Rainbows Children’s Hospice, Children in Need, Bluebell Wood Children’s Hospice and Lincolnshire and Nottinghamshire Air Ambulance. As an organisation we take Corporate Social Responsibility very seriously. We don’t think it should be left to somebody else. Here at Cherubs Nurseries we put strategies in place to help us go paperless and we ethically recycle all our used toys, staff uniform and books, often donating them to local charities and causes. Did you know that each year we sit down with our management teams and staff to look at ways in which we can improve and amend what we already have in place? This means that we’re always reviewing what we currently do which in turn ensures that we’re doing the best job possible. To find out more about corporate, social responsibility at Cherubs Nurseries please download our CSR statement here.